NTEP legal-for-trade approved. Mild steel digital display. 15' stainless steel braided cable. LB / KG mode switching. 200% overload protection. Precision ball and cup feet minimize side load impacts. 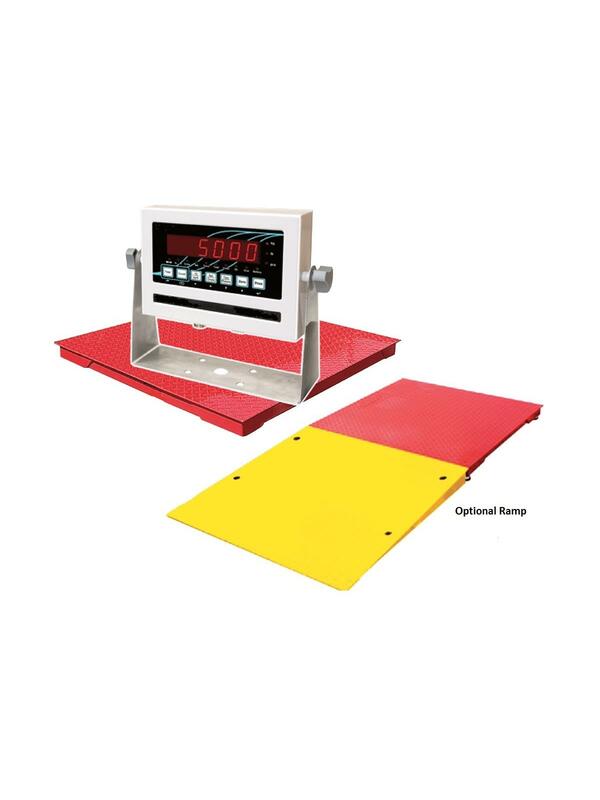 Heavy duty tubular steel understructure for added strength. RS232 data interface. Factory calibrated. FOB Shipping Point. 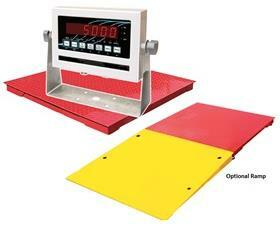 See Related Items tab for Heavy Capacity Low-Profile Floor Scale Ramps and Bump Guards. 20000 lb. x 5 lb. 10000 kg. x 2 kg.